GRAND RAPIDS, Mich., Jan. 4, 2017 –– A comprehensive analysis of 559 esophageal and gastric cancer samples, collected from patients around the world, suggests the two main types of esophageal cancer differ markedly in their molecular characteristics and should be considered separate diseases. The study, published today in Nature from The Cancer Genome Atlas (TCGA) Research Network, includes two key takeaways. First, upper esophageal cancers more closely resemble cancers of the head and neck, while tumors further down in the esophagus are virtually indistinguishable from a subtype of stomach cancer. Second, cancer clinical trials should group patients according to molecular subtype—in general, grouping lower esophageal tumors with stomach cancers, while evaluating upper esophageal cancers separately. Physicians have known for decades that esophageal cancers, when looked at under the microscope, fall into one of two categories—adenocarcinomas, which resemble stomach or colorectal cancers, and squamous cell carcinomas, which are similar to some lung, skin, and head and neck cancers. What remained unknown was the extent to which adenocarcinomas and squamous esophageal cancers differ molecularly and the relationship between esophageal adenocarcinoma and stomach adenocarcinoma. Esophageal cancer represents just 1 percent of new cancer diagnoses in the U.S. However, it kills 4-in-5 patients within five years of diagnosis, and current treatment approaches often fail to help. Additionally, cases of esophageal adenocarcinoma have skyrocketed over the last four decades, increasing seven-fold since the mid-1970s. Within the field, there has been great uncertainty regarding the relationship between this growing burden of esophageal adenocarcinoma and adenocarcinomas that occur in the stomach. Results from this new report argue against the need to continue to debate the demarcations of esophageal and gastric adenocarcinoma and instead view gastroesophageal adenocarcinoma as a more singular entity, analogous to colorectal cancer. Specifically, this study revealed that esophageal adenocarcinomas have striking molecular similarity to a class of stomach cancers called chromosomally unstable tumors, the hallmark of which are significant structural chromosomal aberrations. Oncologists say this nuanced view of the disease, including the detailed molecular taxonomy of esophageal adenocarcinomas, will likely change their approach to studies and treatment. Members of the TCGA Research Network team say these studies represent the work of dedicated collaborators, who seek to maximize results in search of new ways to battle cancer. The Cancer Genome Atlas Research Network represents a collaborative effort of the National Cancer Institute (NCI), National Human Genome Research Institute (NHGRI), and more than 100 medical and research centers on six continents. 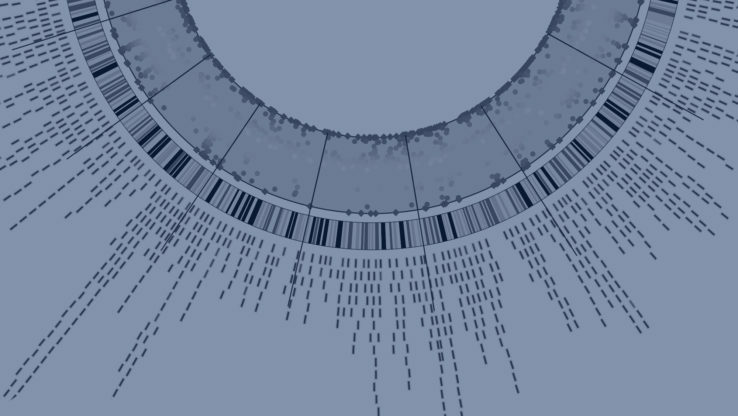 The Atlas is generating comprehensive, multi-dimensional maps of the key genomic changes in 33 types of cancer that pose immediate public health issues or are poorly understood.